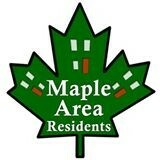 Maple Area Residents, Inc. is a neighborhood organization in the Carrollton section of New Orleans. Its boundaries are St. Charles Avenue, Carrollton Avenue, Willow Street and Audubon Street. MARI is dedicated to improving residential quality of life and encouraging healthy commercial development in the Carrollton section of New Orleans. The Board meets at 7:00 PM on the second Wednesday of each month, except December, at the Property Shoppe, 7933 Maple St. Please contact us if you would like to attend, as space is limited. We also expect to hold one or more board meetings yearly in larger venues. We will send notice of those meetings to MARI members and area residents whose email addresses we have on file. In January, we hold our general meeting, where officers and board members are elected.